SCA Promotions, a prize and promotion insurance company, sued Lance Armstrong over a $12 million bonus paid in 2006. The company thinks Armstrong should return the money paid to him for winning the Tour de France in 2002, 2003 and 2004. Since these titles have been stripped from the cycling giant due to his recent confession of using banned substances, the SCA has requested the money be returned on behalf of Tailwind Sports, his team’s former management company, and the team sponsor, the U.S. Postal Service. Even though this is a high-profile case, we want to let you know about Sports Promotional insurance and how it works. Sports Promotional insurance allows for the payment of a premium and the collection of prize money if certain performance benchmarks are met. This is what is going on with Lance Armstrong and SCA right now. The discussion comes down to did Armstrong breach the insurance contract under which he collected the $12 million bonus paid to him in 2006. So why did SCA pay the $12 million in the first place? The U.S. Postal Service purchased Promotion and Prize Indemnification insurance. This specialty insurance uses statistical odds of a performer exceeding the expected resul to establish an insurance premium that reflects the overall risk of the company (in this case the U.S. 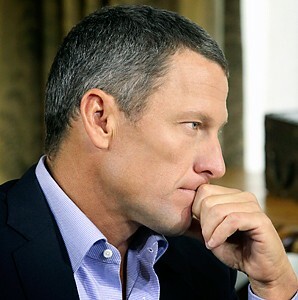 Postal Service) having to pay a performer (Lance Armstrong). When Lance Armstrong beat the odds and won the Tour de France 3 times in a row, the insurance company paid his winnings. To make it easier to understand, let’s look at it from an auto insurance point of view. You pay a small amount to the insurance company every month. But when something unexpected happens, like a car accident, the insurance company pays you. Lance Armstrong winning the Tour de France was the U.S. Postal Service’s car crash. If you file a fraudulent insurance claim, you get sued. There is a strong case against Lance Armstrong. Not only did he lie under oath multiple times, but his contract clearly states that the bonuses would be paid only under the condition that he wins the Tour de France. Having been stripped of his title, he is no longer the winner. If you have any questions about Sports Promotional Insurance or Promotion and Prize Indemnification insurance please contact Sadler Sports Insurance. We are here to back you when the unexpected happens in the world or sports. East Tennessee State University apologized after accusing its insurance company of improperly denying a claim for a $20,000 prize to fund a promotional contest held during a basketball game. Unfortunately, the Prize Indemnification Insurance policy for the promotion had not been renewed. It turns out that an employee of the university failed to communicate to officials that the policy had expired.The promotion sponsors and university had to pay the student who met the requirements for the contest. 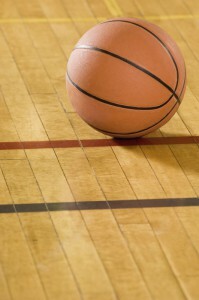 Source: Tennessee School Admits Four Over Basketball Insurance, Insurance Journal, February 20, 2012.